Just been back for a trip to Manchester. 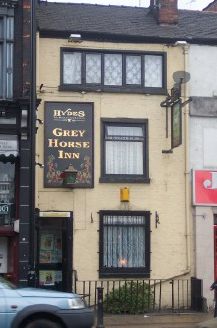 The Grey Horse same as ever,one of the constant things in my life. 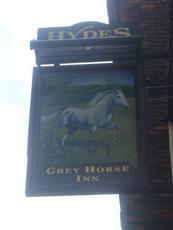 Owd Oak is now Old Indy, but everyone knows it is Hydes Dark Mild and that is how it is sold at The Grey Horse and it is as well kept as ever. 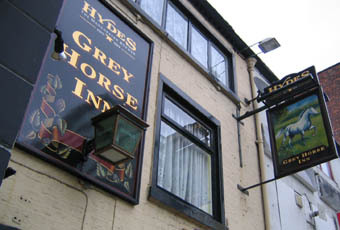 Stay as you are Grey Horse. Great pub, quite small and with limited table space so you may have to stand up but not something that should put you off going. 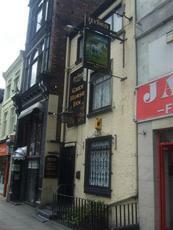 Quite a few ales on to say it's quite small, the toilet is quite interesting as well. This is probably the best pub out of the 3 that are in this little strip of pubs (with the Old Monkey and The Circus Tavern). 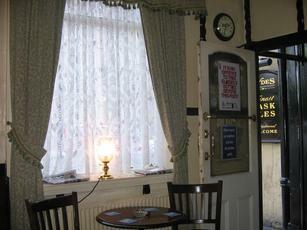 Earlier this month first visit to Manchester for 3 years so back to my old favourite which is as good as ever.Just 2 Hydes beers on plus 2 or3 guests.Owd Oak mild as good as ever.Every Monday 50p off a pint of cask beer. Adjacent to the Circus Tavern, I popped in here while waiting for my hotel room to become available. Friendly bar person, not many customers (just as well as its nearly as small as its near neighbour) & a pint of Hyde's something or other for 2.86, which was very reasonable. Stumbles across this friendly little pyub while looking for somewhere else. Enjoyed it so much I didnt bother going anywhere else. Excellent Guinness and really friendly and helpful staff made it a real pleasure.